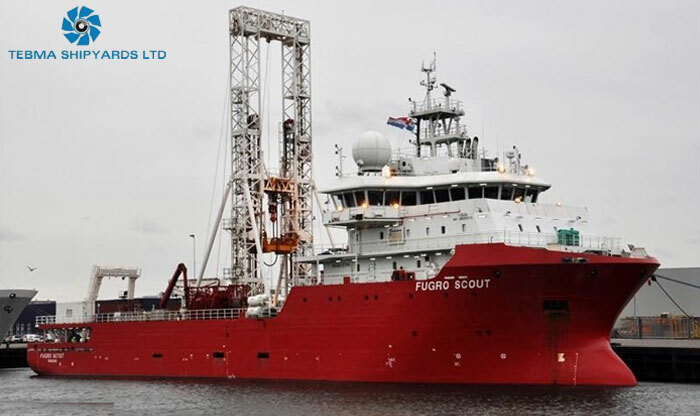 Geo-Technical Research Vessel (GTRV) - FUGRO Voyager and FUGRO Scout - Project: Mangalore, INDIA. 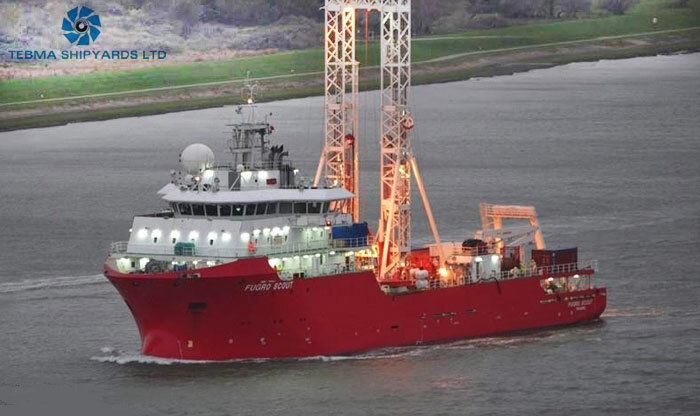 FUGRO N.V., a leading Geotechnical Survey Services Company was building a Geo-Technical Research Vessel in Mangalore in one of the leading Shipyard - TEBMA Shipyards Ltd. Incidentally this was the first Geo-Technical Research Vessel to be ever built in India. This type of Vessel demanded quality work, reliability and cleanliness since it was housing sophisticated mechanical equipments / machineries like drill machinery, winches, cranes, pipe handlers etc. 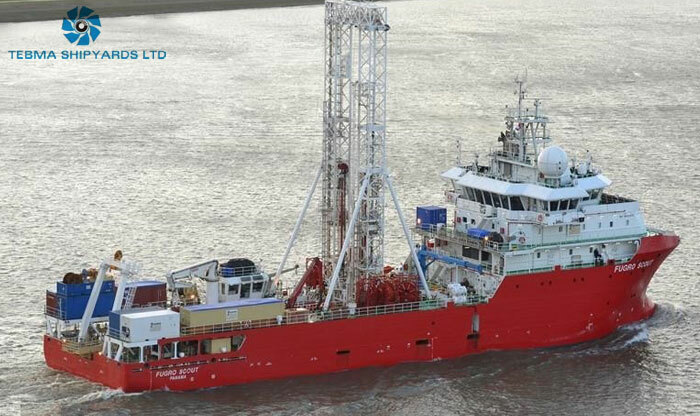 TMI, along with Cenergy Offshore, was selected to implement the first Vessel within a tight schedule. 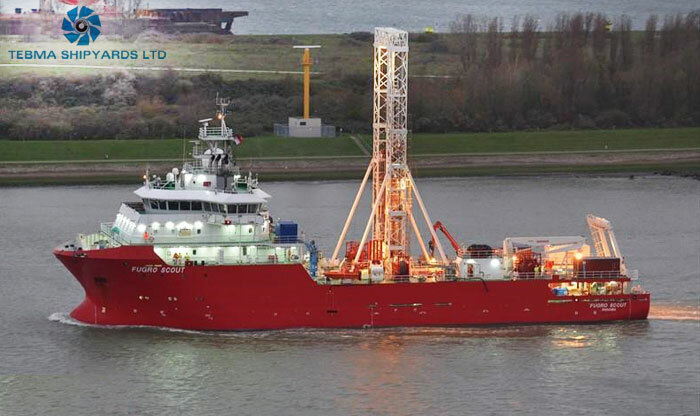 Project covered end-to-end implementation of the Hydraulic / High Pressure systems on the Vessel at site. This project involved planning, procurement and execution collectively by TMI and Cenergy Offshore & required a team of 5-7 lead Technicians to work at site. 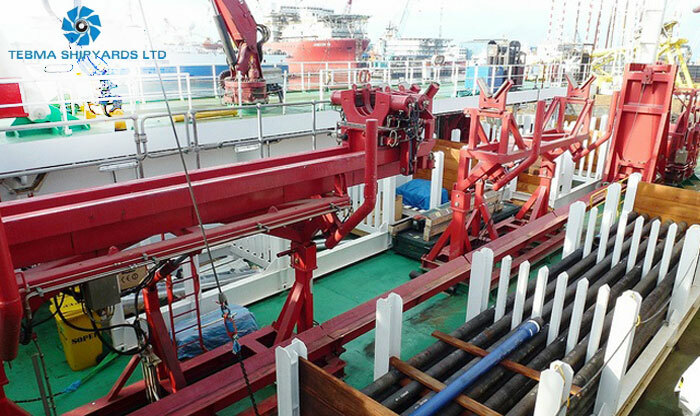 The features of the project are as follows: Implementation of Non-Welded Hydraulic / High Pressure Piping systems for high capacity winches, sophisticated cranes , drill equipments, iron rough neck, pipe handlers through different pipe sizes. Detailed engineering by TMI / Cenergy Offshore team in close co-ordination with the End User / Shipyard. Implementation of all our Tube-Mac products like 37 Degree Flare Flange, Retain Ring Flange, PYPLOK® within the Vessel as per final design & drawing. This was a large scale project and pre-design or pre-fabrication of pipes were not feasible. Our Engineers surveyed the vessel and implemented a plan for the pipe routing based on the Hydraulic Schematic Drawing issued. All critical and technical matters were discussed and clarified by working closely with the End-User / Shipyard. Since this was a high scale mechanical piping project and involved confined spaces the pipes had to be fabricated on site. All the installation tools like grooving machine, flaring machine and crimping machine were brought to the site and stationed there. Bending of pipes up to 4” were done at the site using specialized bending machine provided by our side and for larger bore we got that done at our Austria facility. Some pipes had to be grooved on the vessel since measuring at complex locations was not feasible. Complex bends had to be fabricated to pass through tanks. Overall the pipes had to be fabricated to precision since adjustable allowance on such a sophisticated vessel was very minuscule. Erection involved erecting the hydraulic pipes in confined spaces and open areas (Main Deck). This process had to be closely monitored since the O-rings were the sealing agents for the hydraulic piping. Erection was closely monitored by our trained Technicians. Larger bore pipes were erected with the help of cranes since levelling of pipes during erection is very important and can only be achieved with the support of cranes. This is the most crucial part in the installation of Hydraulic / High Pressure Mechanical Piping. The lines were looped carefully and were meticulously checked by our Field Technicians. It was then flushed in record time since TMI Hydraulic Piping is mechanically cleaned before shipping and is equipped with shipping plates on the either sides of the Hydraulic Pipes along with Zerust anti corrosion tubes. The cleanliness level (NAS Value) obtained was better/cleaner than the required level which was acknowledged by the client. The Pipes (Pressure Line) were pressure / proof tested up to 4000 psi. All personnel surrounding the Pipeline were evacuated and the testing was successfully done. All the equipments / machineries were run after the Hydraulic Piping System was handed over. The Shipyard appreciated us since there were no leaks and commissioning took place in a clean and neat manner. After successful commissioning, all the spares, documentation, reports were handed over to the End-User / Shipyard and a copy was kept with Cenergy Offshore / TMI for future reference & traceability. 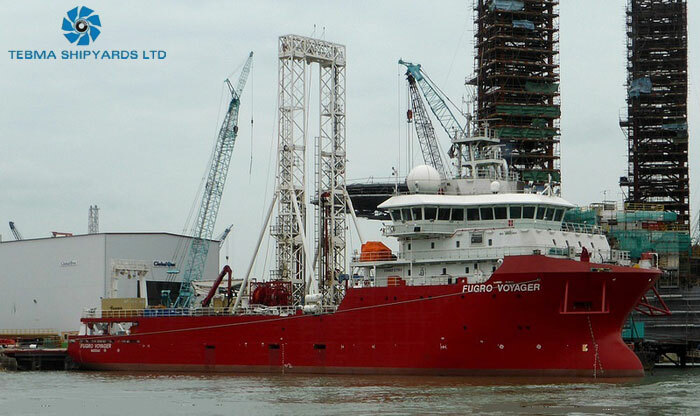 The first project was completed successfully in record time which resulted in the End-User / Shipyard awarding us with the Hydraulic / High Pressure Piping systems for the second Vessel (FUGRO Scout), which too was completed in record time. The Shipyard / End-User has also given us good testimonials regarding the reliability of our products and the quality of work done.